A substantiated definition of smart cities is urgently required. In this chapter we explore the crossover between Smart City and World City Network literature. We argue that this crossover can contribute to the theoretical and empirical development of smart city literature. We hypothesize that if a city gets smarter than its peers, then it will eventually also hold a stronger position within the global economy. Therefore, we argue that the regional and transnational positioning of cities is conditional to being smart, and where the building of dense and diverse economic network relations becomes essential. To test these assumptions, we carry out geographic and statistical analysis, using on the one hand foreign direct investment (FDI) data between smart cities and other cities of the world; and on the other hand, already available smart city indicators. 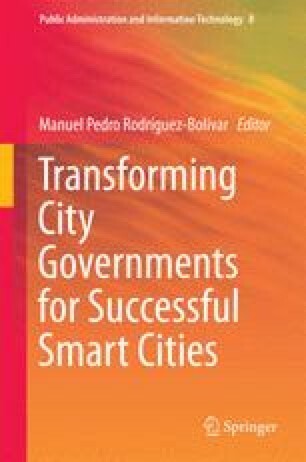 In this way we try to uncover the network and urban characteristics of smart cities and make recommendations how to improve their competitive position within the world economy. IBM. (2013). Smarter Cities. http://www.ibm.com/smarterplanet/us/en/smarter_cities/overview/. Accessed 20 Sept 2013. The Economist. (2014). Smart cities: Are smart cities empty hype? Online debate. http://www.economist.com/debate/overview/265. Accessed 7 Sept 2013.